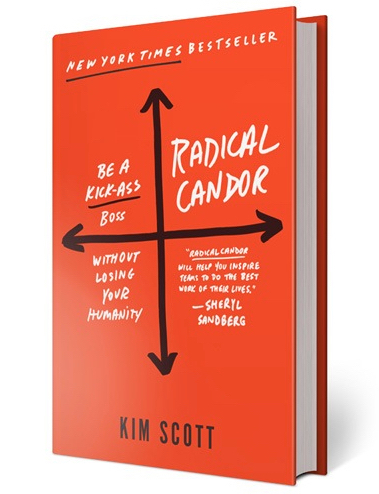 In my last blog I recommended Radical Candor by Kim Scott as a supplement to How to be a Great Boss by Gino Wickman and Rene Boer. 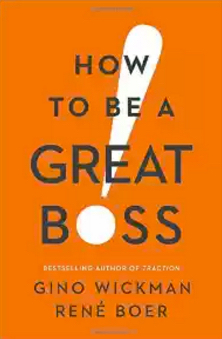 How to be a Great Boss is a framework for creating a highly accountable organization by being a great leader and a great manager. All companies running on EOS list LMA as the first responsibility of all supervisory seats in the company. In other words, Leadership + Management = [Fosters] Accountability. To learn more you can buy the book here or watch the youtube version of a webinar Rene Boer gave explaining the concepts here. 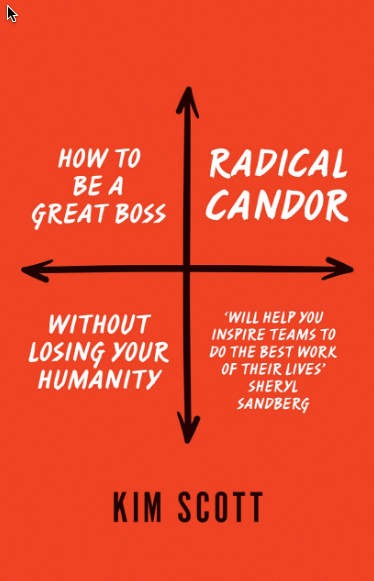 In this post I want to reinforce my recommendation that Radical Candor is an excellent supplement to How to be a Great Boss. Most of us were never trained to be a manager. One day we are an individual contributor and the next day we are expected to know how to supervise a group of people. One of the most challenging aspects of being a new manager is giving feedback to your direct reports. Giving feedback is a key concept in How to be a Great Boss. Most managers have difficulty giving feedback, not just new managers. Difficulty in doing it well for sure. All of us have witnessed or been subjected to feedback done badly. Kim Scott’s graphic shown here is an excellent summary of how to do it well and at least three ways of how it is done poorly. If you don’t care personally for your employees and challenge them directly, you are not actually helping them. A leader of one of my clients recently complained that one of her direct reports really didn’t want his job. “He is just collecting a pay check until the day he can open his restaurant. The dream of opening that restaurant is all he really cares about. I need to find someone who really is psyched by being a project manager.” That is one way to go. Kim Scott offers another way. She suggests that you start with a conversation focused on really learning what the long term life plans are for each of your employees. In this client example, we can assume the manager already knows the answer. So this client could start with the next conversations Kim recommends which is one where the manager shows the employee how the skills learned in this job will be impactful in him achieving his life’s goal. Project managers (PMs) have to be good at managing interactions of many stake holders towards a common goal. PMs also have to be able to create budgets and manage to those budgets. They have to deal with diverse personalities. You see where this is going. Skills learned as a PM will be extremely valuable as an entrepreneurial restaurant owner. There is much more Kim Scott has to say on this subject, but my goal here is to intrigue you enough to read the book. You can buy Radical Candor here. 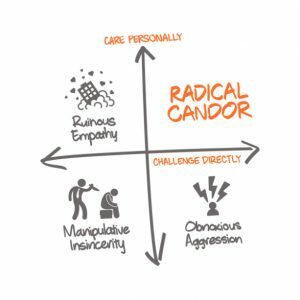 There are many more resources on the radical candor website. She has quick tip videos here. Please let me know what you think with comments below.